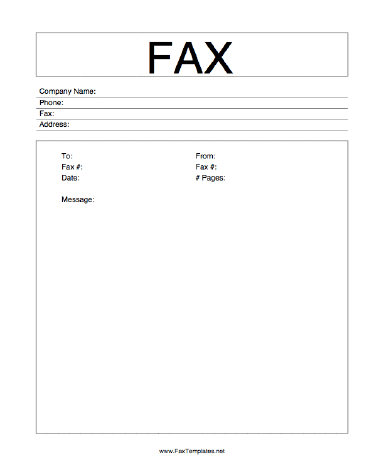 Distinctive and to the point, this fax template has the word "fax" prominently displayed at the top and is appropriate for business use. This Printable Fax Template is available to download for free. The free fax template cover sheet is available in your choice of DOC or PDF formats. The DOC version can be opened, edited, and printed using Word, Google Docs, etc. The PDF version can be opened and printed with Adobe Acrobat Reader.